Huge thank you to all who took part in this year’s Trip to Tipp Challenge! Another huge success this year with a massive €25, 614 raised. Thank you very much to Billy & Katriona Shanahan (Blazing Bikers) who organise the event every year, delivering an enjoyable day. 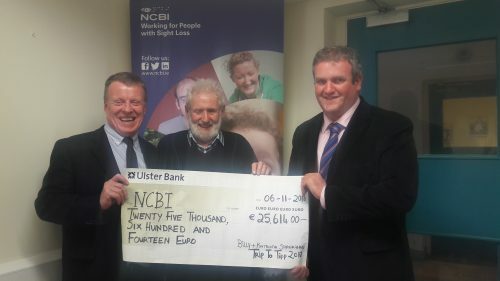 A special thanks to Brendan Shields who raised an amazing €11,727 for NCBI through his fundraising and participation in the annual Trip to Tipp. The Trip to Tipp is now in its 23rd year and is dedicated to the memory of the late Lorraine Shanahan.